As per a Board of Control for Cricket in India (BCCI) source decision regarding whether India will play against Pakistan at the ICC Cricket World Cup 2019 will be taken by the government once the tournament is near. “Situation will get clearer after some time, a little closer to the World Cup. ICC has nothing to do with it. If the government at that point in time feels we shouldn’t play, it’s obvious that we won’t play,” a BCCI source was quoted saying by ANI. “But the result of that would be that Pakistan will get the points of the match & if it is final (b/w India & Pakistan), they will win the World Cup without even playing. We haven't yet approached ICC in this regard,” the source added. India vs Pakistan Match in ICC Cricket World Cup 2019 to be Played Despite Pulwama Attack, Suggests Dave Richardson. 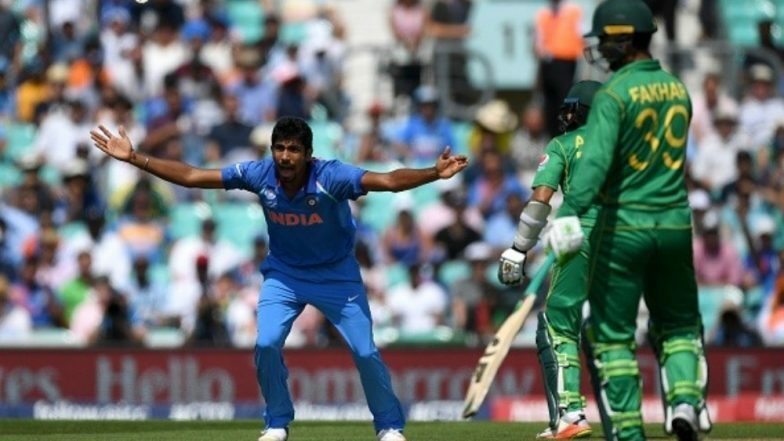 According to the ICC Cricket World Cup 2019 schedule, India will take on Pakistan in the group stage match on 16 June at Old Trafford. If India decides against playing the match, then Pakistan will be awarded the valuable points. Interestingly, ICC Chief Dave Richardson was hopeful that the two countries will play each other and said, “there is no indication that any (of the) matches at the ICC Men's Cricket World Cup will not go ahead as planned.” Mohammad Shami Donates to Families of Pulwama Martyrs, Follows in Virendra Sehwag's Footsteps. Following the suicide attack on a CRPF vehicle in which over 40 soldiers lost their lives in Pulwama on February 14, the relations between India and Pakistan have hit a new low. Following the attack, in protest people have demanded the boycott of ties with Pakistan including cultural.